CD1: John Foxx discusses Ultravox! CD2 part 2: Interview with John Foxx about Tiny Colour Movies, Nation 12 and his work with Louis Gordon. CD2 part 3: “The Grey Suit” – an extract from The Quiet Man, read by John Foxx. 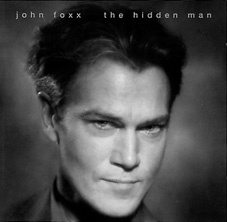 The Hidden Man is a double CD, originally produced for Foxx's 2006 tour along with Live From A Room (As Big As A City). The Hidden Man is not an album, but a candid interview with John, talking openly about his career, for the first time. The first disc concentrates purely with his time with Ultravox and the three albums they recorded together. This interview will fascinate fans of the band and this period, and even his first bands, Wooly Fish and Tiger Lilly get a look-in! The second disc sees Foxx talking about his more recent work, collaborating with Louis Gordon, and talking in detail about his Tiny Colour Movies project. It's not all talk though, as the narrative is broken up by various song snippets from Tiny Colour Movies, The Pleasures of Electricity and The Omnidelic Exotour. The second disc also offers three brand new tracks, produced with Louis Gordon. "Freeze Frame", "Running In Traffic" and "From Trash" emerged from the recording sessions of 2006’s From Trash. The second disc ends with Foxx reading a passage from his unreleased Quiet Man book. Foxx's calm narration is set against beautiful music from the Translucence / Drift Music albums, and is a wonderful listen. Until I heard this, I never thought a story about an old grey suit could be so moving.